Hello friends, Today I will share 5 ways to fix Your Windows License will expire soon. All these methods are working and will fix all error related to Windows Activation. You can use these methods on your Windows PC/Laptops and the Windows Activation error will disappear. 1.4 Method 4 – Re-Check your Product Key, Is it correct? It is one of the most common errors in Windows 10. Users see this error again and again on their Windows PC/Laptops. It’s unfortunate for people who even bought genuine license Windows. This error occurred to almost everyone using Windows 10. Microsft has stated that people having original Windows 7 or 8 can upgrade to Windows 10. But unfortunately, they also see this error. Sometimes Windows take your upgradation as an installation. In that case, they find you are using Windows 10 by doing illegal activities. So they start showing ‘Your Windows Licence will Expire Soon.’ Don’t Worry Today I will share 5 methods to fix all these errors, and you can use Windows 10 without any hassle. 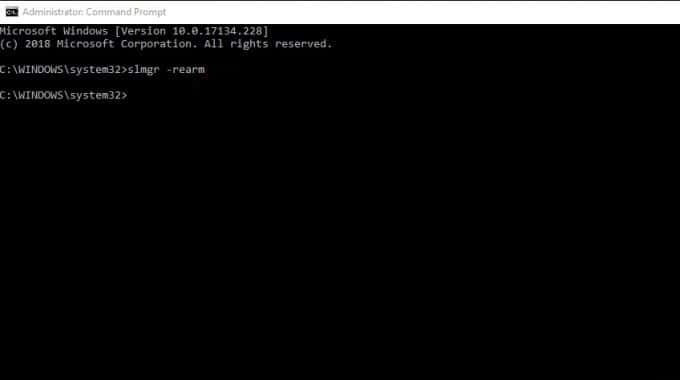 Users can use these command prompt, troubleshooter, and several other ways. We will use these five methods. Re-Check your Product Key, Is it correct? It is one of the most used options to fix computer errors. 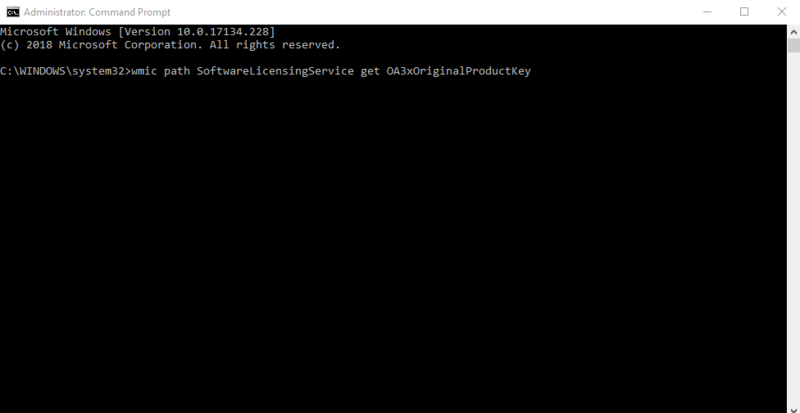 The command prompt allows us to fix Your Windows license will expire soon. And users can get rid of this error text. We will use slmgr tool to fix the error. Click on Start > Search > CMD. Make sure you click on Run as Administrator. 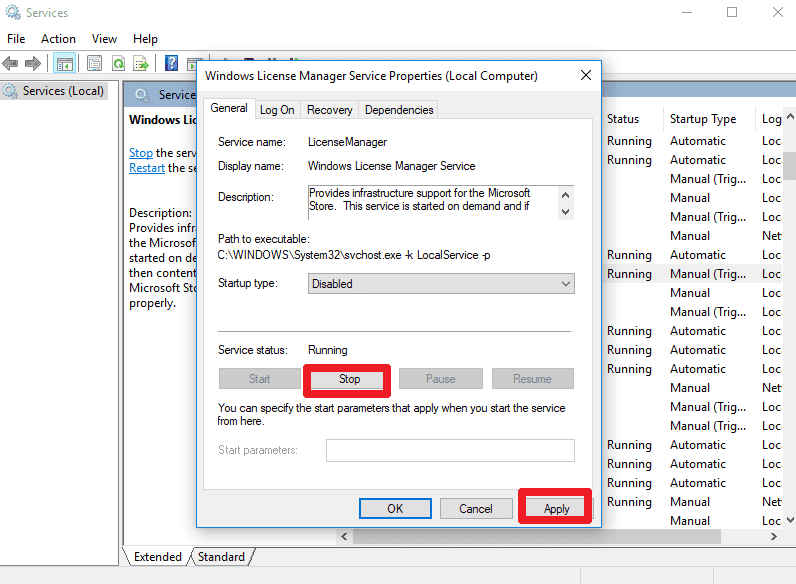 Now type slmgr –rearm and click on enter. It will ask you to Reboot. Make sure you reboot your PC. Once the PC start, Click on Settings > Update and Security > Activation. Now Click on Change Product key. In this method, we will disable two services in the setting section. I will share a command to enter the settings and disable two services. Do same with Windows Update, disable it. Do you have a license key? Are you sure that license key is original? Then you can use this method to fix Your Windows Licence will expire soon. 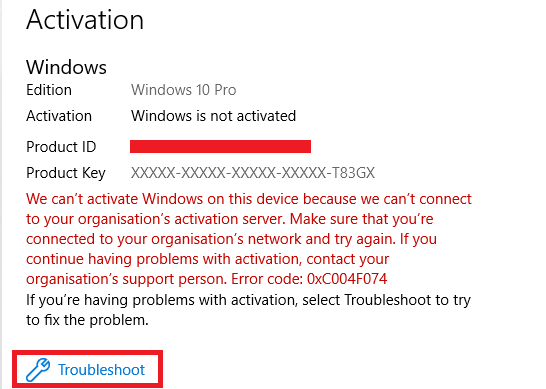 We will use Activation troubleshooter to fix this error and let Windows itself find a solution to this problem. Visit Settings > Update and Security > Activation > Troubleshooter. Now Windows will itself run the troubleshooter and try to find the solution. 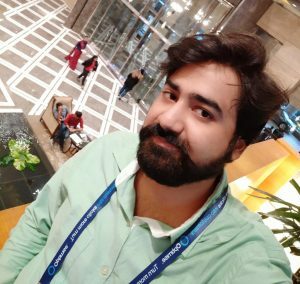 Method 4 – Re-Check your Product Key, Is it correct? 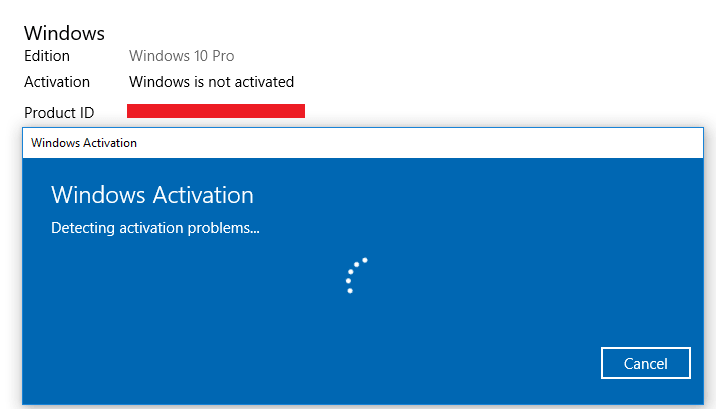 I will suggest you re-check the product key you have entered for Windows Activation. You can check these serial number on your DVD. Make sure you enter the correct product key. I will share a method to check the product key correct or not. Enter wmic path SoftwareLicensingService get OA3xOriginalProductKey. Make sure you check all the settings related to System Restore. Sometimes your earlier system restores affect the Windows Activation. I will also suggest you use System Restore, If you have any previous backup in Windows then use that and re-activate your Windows. It will reduce the chances of any repeating bugs to fix your Windows license will expire soon. And will help you in permanently activating Windows 10. Windows Activation error is one the most frustating error. Becasue it appears even after writing the correct product key. 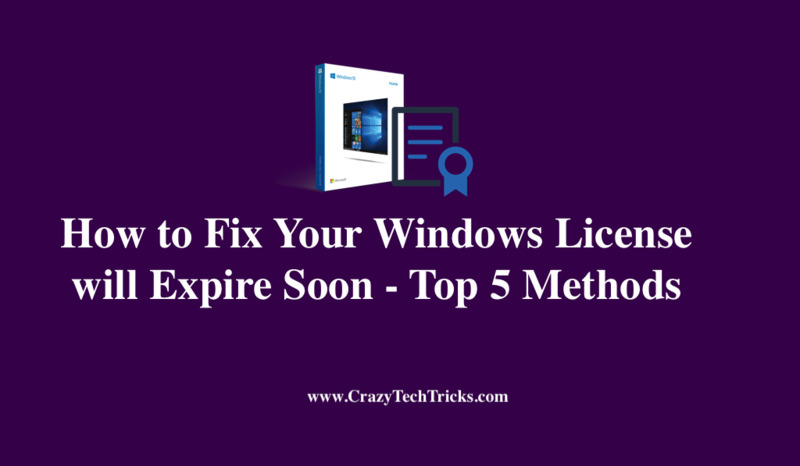 Well as I have shared the 5 methods to fix your Windows license will expire soon. You should use these methods and fix this bug. It is a temporrary bug and can be fixed by several other ways too. If you have the correct product key, then you don’t need to worry about this bug. 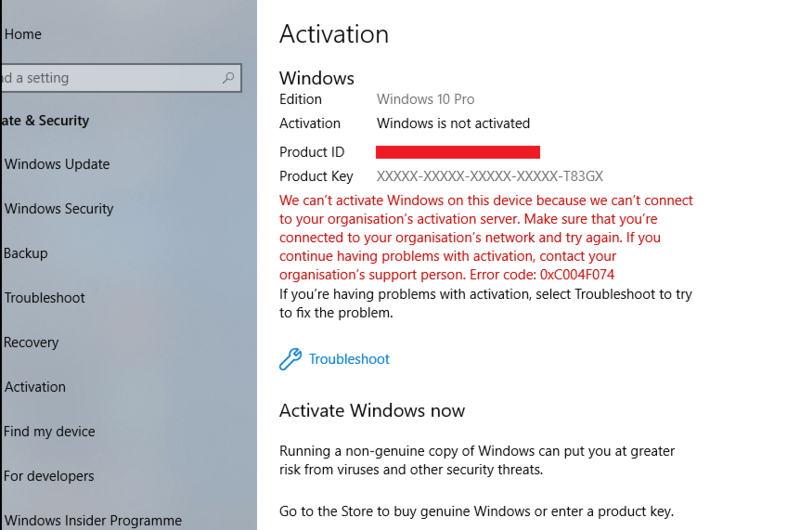 I will suggest you share this article and help others with Windows Aactivation bug.